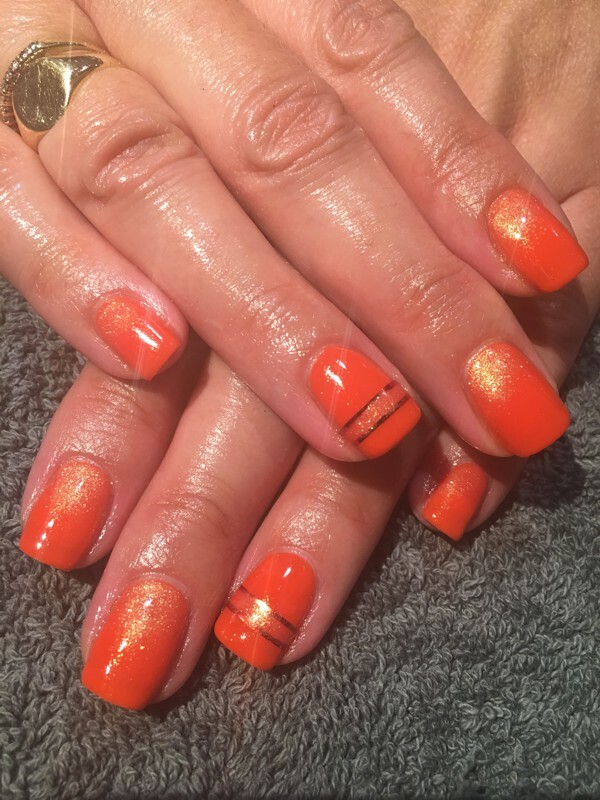 Have the sunshine at your fingertips with this stunning orange glitter nail art at Surrey’s the Nail & Body Boutique. Call now to book an appointment 01737 242663. Why not add a top up at the same time? The Nail and Body Boutique Surrey paraffin wax treatment: hands or feet are submerged into a bath of hot liquid wax containing essential oils. This treatment is perfect for dry, dehydrated skin to deliver maximum hydration, it will soothe aching joints and, for anyone who suffers with arthritis, this treatment is a must for comfort in our luxurious surroundings in #Surrey-Beauty-Salon-Surrey, Reigate, the Nail and Body Boutique. Book your pampering Paraffin Wax Treatment at The Nail and Body Boutique Reigate today. Spa Manicure at the Nail and Body Boutique, Reigate’s leading beauty rooms – Cuticles treated and nails shaped, exfoliating scrub, hydrating paraffin wax masque with heated mitts, moisturising massage of hands and forearms, nail strengthener & moisture pack for nails, and OPI polish of your choice (full or natural)*. Seasonal fragrances available. Enjoy a luxury Spa Manicure at The Nail and Body Boutique RH1.